Herman Sellers Gough Furs wants you to get the most out of your fur, which is why we offer complete cleaning, repairs and storage options. With our professional, on-site fur services in the GTA, we can enhance the appearance and longevity of your fur. With the tried and proven methods of fur cleaning Toronto prefers, plus our repairs from master furriers in our own factory, why would you go anywhere else? Let’s face it – your fur coat is a priceless possession that has become a part of who you really are. This is why it is so important for you to care for it as best as possible! 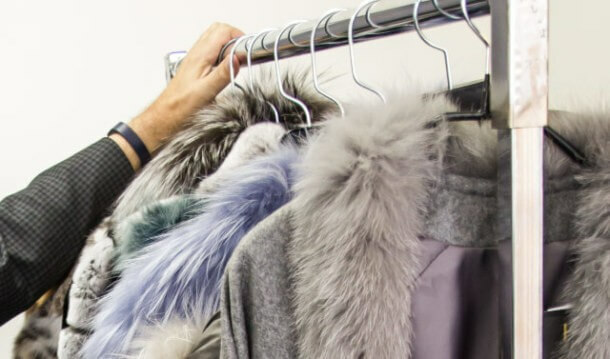 When it comes to fur coat repairs, our team of master furriers and professional finishers can mend any fur, leather and cloth damage from the smallest tear to replacement of complete sections. We can assure you that your valuable garment will be handled with care and respect. The winter has just ended and your coat could have been damaged or dirtied. The summer is the time of year when your coat should be stored. The experts at our factory vault location will be happy to inspect your furs and give you a free estimate if any repairs are required. Do not sit too long on your fur garment, as this may lead to crushing of the fur. Refrain from excessive use of shoulder straps while wearing your fur, as this too will lead to premature wear. If your fur gets wet, shake it off and let it dry out naturally. Using heat can cause both fur and leather to dry out. If your fur gets soaked, it needs special attention by our master furriers immediately! Allow your garment proper space in your closet. Never keep your fur in a plastic bag. Plastic may be used for transporting on a limited basis. Your fur requires proper air circulation; the smell of both mothballs and cedar balls often adheres to fur and can create unpleasant odours. Be sure to have proper annual fur care including cleaning and or conditioning.